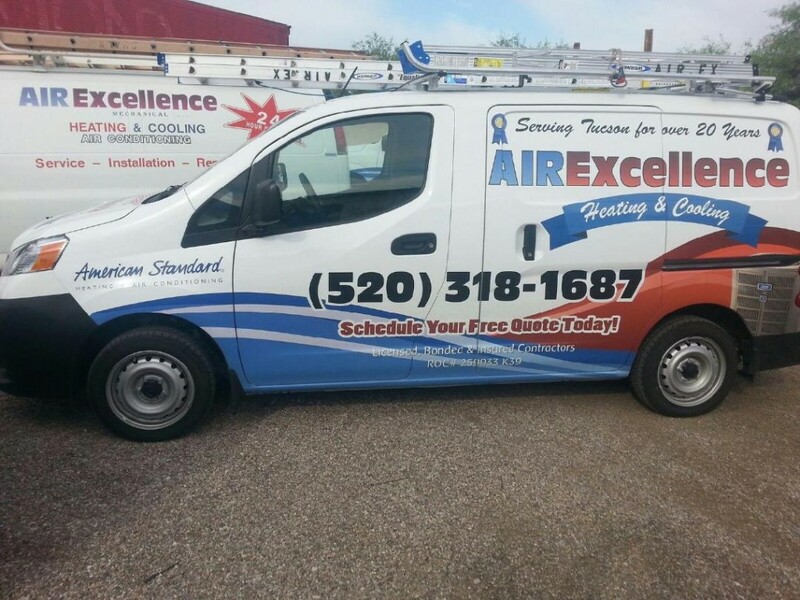 Air Excellence Heating & Cooling has been serving Tucson and southern Arizona for over 20 years. The owner, Mike Boudreaux has over 25 years of experience in the heating and cooling industry. Our tenured staff here at Air Excellence has over 50 years of trade experience to help you with any repair or install. We are a locally owned small business and part of the Marana Chamber of Commerce. 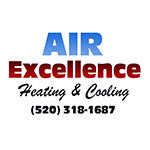 Air Excellence Heating & Cooling is licensed, bonded and insured. We are in good standing with the registrar of contractors and have an A+ rating with the Better Business Bureau. Air Excellence provides service, diagnostics, professional and clean installations and repairs of residential, commercial and new construction. 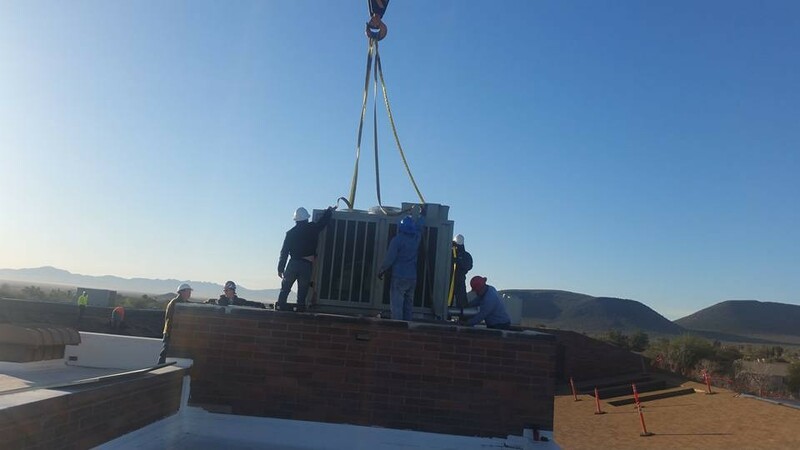 We offer service maintenance agreements from one to ten years durations to help keep your equipment maintained and running efficiently. Air Excellence provides services for all makes & models of equipment and/or parts. We pride ourselves on giving you, the customer all the options to repair or replace. We are honest and provide value to you through quality workmanship. Air Excellence would be honored to give you a no obligation quote. On time and great prices! 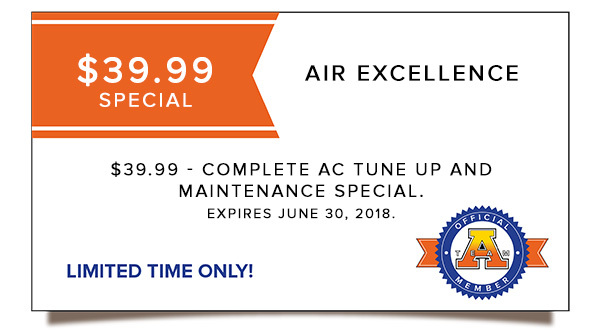 After having another company servicing my a/c for years I decided to try Air Excellence. Their service was on time, prices were lower than the other company. I will definitely use Air Excellence again. I recommend them to all my friends and family for any heating and cooling work they need. We’ve used Air Excellence for years and have always had a wonderful experience with them. The techs they send are always knowledgeable and thoroughly answer all of our questions. Someone arrives when promised and their prices are reasonable. We had issues with our AC when we first moved into our house and they had all the parts needed to get us back in working order. I recommend them to all my friends and family for any heating and cooling work they need. Air Excellence has been my heating and cooling company for years now. My first experience was with my swamp cooler. There was a terrible vibration coming from it and the air output was pretty warm. The team was able to get a technician out first thing the next morning. Not only was the tech able to quickly identify both issues, but he actually took me around to the unit, showed me the problems and gave me information on how to prevent both in the future. Since then I have referred them to my father-in-law to hook up his new AC unit and for a full AC unit replacement for my nail salon. Nether will use any other company now. Professional, quick, reliable and you know you got what you paid for. Kevin was professional and knowledgeable. Great service by the customer care office staff and Kevin! Showed up on time. Respectful and professional business. We will be using them for all our AC and heating needs from here on out. Erik was very nicely dressed and shook my hand upon arrival. He was very professional and took care of the problem quickly. After trying with 2 different companies and getting the run around and no calls back and happy with this company. If I need something else I know who I will call. Thank you Erik. I had Alex out to give me a quote on putting in a Mini Split in my new addition. He was totally professional and we are very pleased with the work that was done and the help he is giving us on learning how to use the mini split. I highly recommend Air Excellence and Alex. I will be using them in the future to service my furnace and A/C Unit.